Today’s the last day of LivingSocial’s President’s Day sale, which means when you enter code SAVE25, you get 25% off everything. 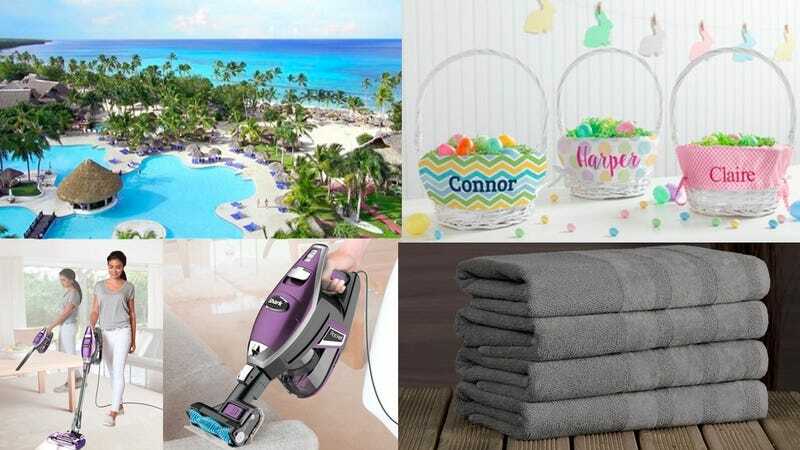 There’s a lot to pick from, so if you’re looking for some ideas, you can save on a trip, buy some personalized Easter baskets, a Shark vacuum, or some bath sheets. Just remember, this deal will end at midnight tonight, so don’t miss it. Note: Restrictions apply. The discount maxes out at $50, and can only be applied once per transaction. But feel free to use the same code and make up to 5 separate purchases. Make sure to read the fine print on the deals you select and find out expiration dates, how to redeem, etc.